In this paper, we present concepts in artificial neural networks (ANN) to help detect intrusion attacks against network computers, and introduce and compare a multi-layer perceptron ANN (MLPANN) with Snort, an open-source tool for intrusion detection systems (IDS). To conduct these comparison experiments, we inserted malicious traffic into the MLPANN to train our ANN, with results indicating that our ANN detected 99% of these input attacks. 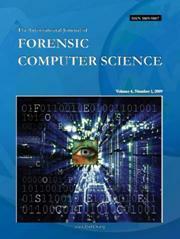 Networking, TCP/IP, Neural Networking, Multilayer Perceptron, Intrusion Detection Systems.